We have Arcangelo Corelli to thank for the concerto grosso (small and large group of instrumentalists playing off each other); the trio sonata (three music parts confusingly played by four instrumentalists) and the solo sonata (solo work). He didn’t bother with composing for the voice, which was unusual for a Baroque composer. While Corelli’s output was small, his impact was huge. He set the template in terms of compositional structure that composers would use for many years after him. He also was a known violinist, and played with great musicality, though his technique wasn’t that great; many of his colleagues could play circles around him. Few musicians had the setup he had, such as the patronage of Queen Christina, Cardinal Pamphili, and Cardinal Ottoboni. Corelli served and lived in these peoples’ mansions from 1689 until right before his death in 1713. He died a rich man, leaving a collection of instruments, manuscripts, and a fine collection of paintings. He willed them to one of his benefactors, who kindly turned them over to Corelli’s relatives. Corelli was buried in the Pantheon of Rome. Corelli’s influence was so great that JS Bach and Handel studied his works and were influenced by them; high praise, indeed. Here is the Trio Sonata in D Major, Op. 3, No. 2 performed by the Texas Christian University Collegium. 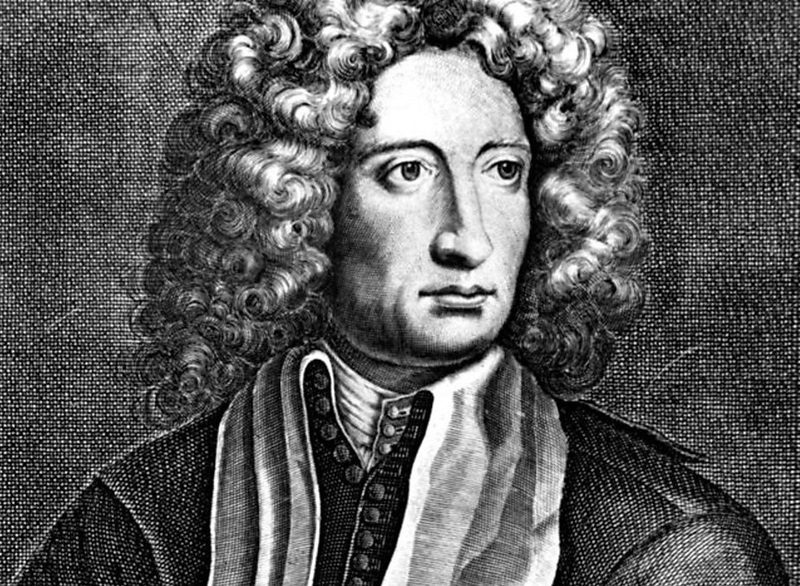 Arcangelo Corelli was born February 17, 1653 in Fusignano, Italy, and died January 8, 1713 in Rome.